Bipolar disorder was earlier referred to as manic depressive illness and the term clearly indicates a relation between bipolar and depression. It is a cyclic disorder where the patient experiences mood swings that oscillate between abnormally elevated episodes to depressive phases. The depressive phase may last for a certain period of time and the major depressive phases are characterized by feelings of extreme sadness, anxiety, hopelessness and isolation. Along with this, the patient may experience fatigue, loss of sleep and appetite, declining interest in various activities etc. Sometimes the depressive phase leads to suicidal situations and psychotic symptoms in the form of hallucination and delusion may be evident in the patient. Bipolar and depression cannot be separated as the patient continuously fights between manic and depressive phases. While the manic phase leads to increased irritability, unusual behavior, increased energy and unrealistic belief, the depressive phase drowns them in feelings of helplessness, anxiety, persistent thoughts of death and a loss of concentration. Depression can be a very dangerous stage as the person experiencing such feelings cannot come to terms with the things happening around him or her. Patients often feel that they cannot do anything and have lost all their energy. Such feelings often trigger suicidal attempts. Family members and others taking care of people suffering from the disorder must always monitor their activities. Anti-depressant drugs like Bupropion, Venlafaxine, Fluoxetine, Paroxetine can be prescribed for patients suffering from the bipolar and depression. Mood stabilizers along with anti-depressants are often effective in providing relief. 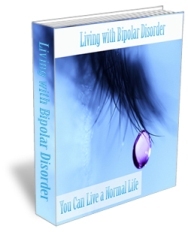 The depressive phase of bipolar disorder varies significantly from person to person. While some people experience acute phases of depression, others might experience manic episodes without any major depressive phase. Bipolar and depression can be closely linked with each other. But, bipolar disorder can be divided into 4 types of mood disorders consisting of Bipolar I, Bipolar II, Cyclothymia and Bipolar Disorder NOS (Not Otherwise Specified), and the depressive phases experienced by people largely depend on the kind of mood disorder they have. The disorder is considered a serious illness since it cannot be cured and sufferings continue for life. The depression associated with it can take serious dimensions when it continues for longer periods of time. The person may completely lose interest in life and may not even come out of bed or have food or medicines that can provide relief. Manic depression makes people suicidal and psychotherapy can be effective for people suffering from the disorder.